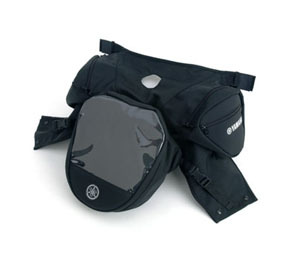 RX Vector Tank Bag with Map Window is made of heavy-duty ballistic nylon. Features three storage compartments and a clear vinyl map pouch. Comes complete with mounting instructions and quick-disconnect mounting hardware.